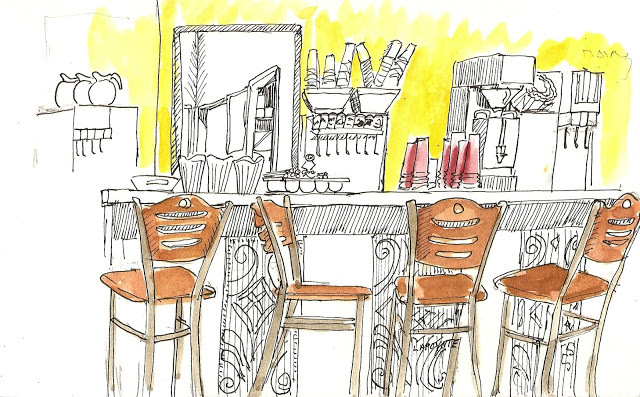 Dave Poynter, the artist who sketched this view of our front counter has a website full of his sketches and photography! His work is like taking a tour of the Columbia Basin with an artist’s glasses on. Coffee shops, wineries and lots of local scenery. A beautiful way to explore the area. His website is https://www.flickr.com/photos/47767215@N00/ GO CHECK IT OUT! This entry was posted in Blogging, Local Products, Our Community and tagged art, columbia basin, kennewick, Pasco, Richland, tri-cities, washington. Magills Would Love to Have Your Vote Again This Year!